Our training will offer you a systematic approach to trading that will enable you to trade accurately, knowledgeably, confidently, and with minimal risk. All our courses are conducted onsite and on a one-to-one basis (or in a small group if you prefer), in either Chinese or English, and with a flexible schedule to suit you. Online registration is available in Chinese only. For English users, please contact us directly for registration and assessment. The time each course will take is just an estimate. The actual period required will depend on your existing knowledge and capabilities. Quizzes and exercises will be conducted throughout the courses to monitor your learning progress. You will learn using the TradeStation® or MultiCharts® Platform. This is a sophisticated package and it can take months to master all its numerous features. Most users take advantage of only 20% to 30% of them (it’s rather like driving a Ferrari around in first gear!). 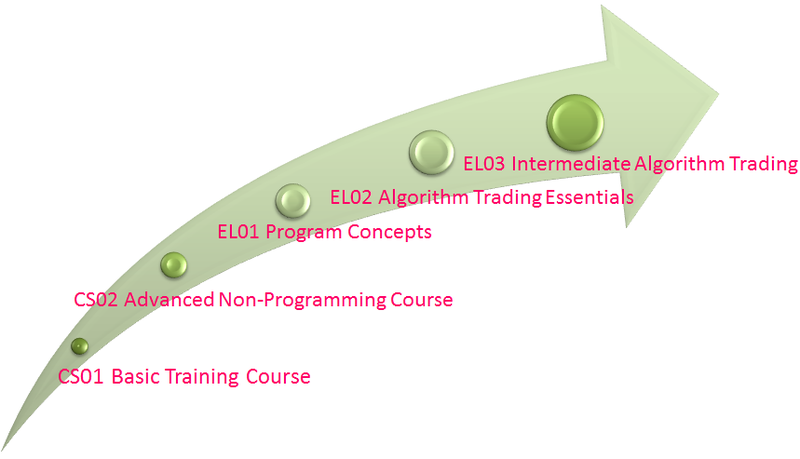 Our algo training courses are therefore fast-track methods that focus on the most important ones. Learning how to trade correctly will help you to unlock the door to unlimited income opportunities!